"On the 14th of October 2018 I joined a G adventures tour in Delhi. 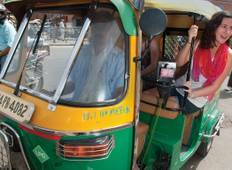 I was filled with..."
"Hi, my husband and I just did a fabulous 11 day India Getaway tour (March 14th to..."
"Awesome tour! Sab was great, very knowledgeable, best tour guide ever!" 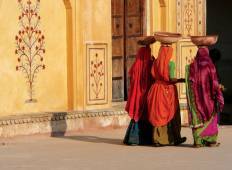 "From the moment we landed until the moment we were returned to the airport for our..."
"If you're considering going to India, make sure you travel with On The Go. They were..."
"What an amazing tour! We were so lucky to have had such an amazing guide and a fantastic..."
"Very, very, very good ****"
"What an amazing tour! Three weeks went by so fast. Our guide was excellent, making..."
"The tour was amazing. VV is a great CEO that took really good care of us and made..."
"This tour was fantastic! A wonderful experience. I cannot wait to visit the country..."
"The travel experience with this company has been the best we have used so far for..."
"what an amazing guide - jai really made our tip - he was thoughtful and ensured that..."
"I travelled to India in February with On The Go and absolutely loved it. Though only..."